Scotland coach Craig Levein has turned to long-time friend Michael Oliver by appointing the former Albion Rovers manager as national team scout. Levein played alongside Oliver at Cowdenbeath and hired him as a scout while at Dundee United. Oliver said: "I am honoured to work with Craig and the national team. "Hopefully I can have a good impact on the squad's preparations and have a real go at creating a good picture for Craig of the teams he will face." Oliver will watch and observe players and teams around Europe, building dossiers on players from opposing countries by watching them in international and domestic matches. Before joining United, he had been hired by Birmingham City and Wigan Athletic to scour Europe for players. "I have been scouting Europe for a number of years now for Premiership clubs, so I am used to watching this standard of player," Oliver told the Scottish Football Association's website. "I will be looking to watch every player a team has available to them one way or another and hopefully be ahead of the game by knowing in advance about any wee gem who may be about to breakthrough." "More often than not, I'll be watching club matches where a percentage of players involved are eligible for an international opponent. "That is where you'll see a player perform to their full potential and learn most about them, as opposed to an international friendly where not a lot is at stake." 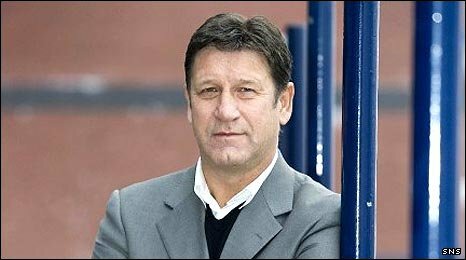 Oliver played in defence for Falkirk, Cowdenbeath and Queen of the South before moving to Cliftonhill, becoming manager before a spell as assistant at Ayr United and as general manager of Clydebank. He moved to John Viola's sports agency in Glasgow as technical assistant, but it was when he started his own sports consultancy business that he became involved with top English clubs. It is Levein's first appointment as Scotland coach and he sees a full-time scout as vital in his match preparations. "It is extremely important to me that my players know something about every player in the opposition's squad and not just the starting 11," he said. "When I was working at club level, I didn't like it if I sent out my team and the opposition brought on a player who I hadn't briefed my players about. "When I was offered the job here, I made it clear from the start that I wanted a full-time scout. "Having a scout means I get reports about players playing all over Europe and not just from international games. "If we drew, for example, Italy, in the next Euro qualifiers and there were four or five players playing in a Milan derby who were eligible for Italy then I want a scout there. "Michael fits the role perfectly. He already has a lot of experience in a similar role, he is used to travelling around Europe watching players and he has made a lot of good contacts along the way. "I've known Michael since I was 19, when I played alongside him at Cowdenbeath. For the past two years, he was my scout at Dundee United. "For me, the most important thing is that Michael always gives me a definitive opinion about a player. He is very thorough with his evaluations and I have found his advice very useful and important to my preparations in the past." Levein hopes to be re-united with his former assistant at Tannadice, Peter Houston, who has been United caretaker while they search for a new manager, as his number two on match days.